Keeping children entertained through the summer can be difficult especially prising them away from the TV and their favourite video games. Make the most of the summer weather by visiting an outdoor pool. It’s fun but also helps you to keep active! Make sure you take sun cream along with you if it’s a sunny day. If you’re looking for a weekend away why not try camping? It’s a great way to spend time together as a family and who doesn’t enjoy roasting marshmallows over a fire?! 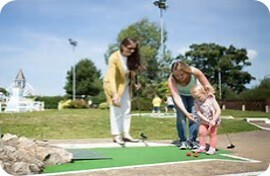 Crazy golf is simple but fun! Find one in your local area and watch your children score more points than yourself! Sometimes a simple walk does the job! 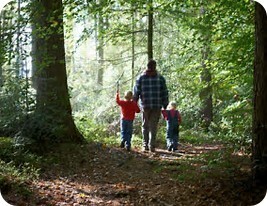 Find a new route whether that be through the woods or by a lake and enjoy the fresh air. 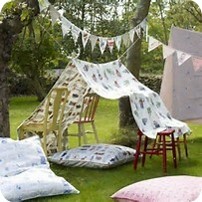 Make a den in the garden using an old towel or bedding sheet and chairs. You’ll be surprised how the simplest of things can keep children entertained for hours!